You bet! Have you ever heard of kawaii? In Japanese kawaii means cute,lovely and charming. Fruity Cuties is a webpage which presents adorable fruit and vegetable characters. According to them they are “the largest kawaii fruit website in the world”. There are jokes sorted by character, theme and date. Short animations are available on Fruit TV. Besides, you will find wallpapers in the Goodies section. They can serve as great visual aids, too. My favorite is the one of Turnip Turtles. Why not use it as pronunciation practice? By the way, Halloween is coming! Unfortunately, I’m not teaching my young learners the topic this month.However, if you teach chidlren you could use the Monster Maker game to have your young learners practice Speaking with some vocabulary about fruit. Avatar (waspberry)taken from http://www.fruitycuties.com -Goodies section! Categorías: vocabulary | Tags: children, food, fruit, fruity cuties, games, jokes, vegetables, videos, vocabulary, wallpapers, young learners | Enlace permanente. At school students are awarded with diplomas or certificates they can show their parents. Children and teens respond well and they become aware of the importance of their achievements. I remember I attended a school where we obtained points every time we fulfilled certain tasks. After a couple of weeks we could choose a reward which cost a number of points from a box. Young learners like to be praised and they appreciate significant rewards. I try to reward each and every student for different accomplishments but only words aren’t always sufficient . We try games, songs and other activities they might like when all the class has behaved appropiately. Even so I aim to get the uneasy or disruptive students to be aware of any improvement they make so they get motivated and arrive to class with a different attitude. I also give them stickers and draw stars or write positive comments on their notebooks but a badge includes an image and a message. You easily make a clear statement about what you are recognizing. I had written about using Thinglink to use virtual badges but I felt it wasn’t that motivating. I started looking online for better options and I found Classbadges. 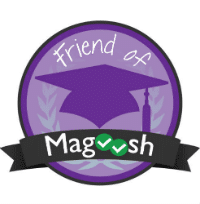 Through this site you can award unique badges to each student and it’s free! Another advantage is that students won’t lose their badges somewhere and they can see and show many they accumulate. Besides, teachers can use the information to assess their progress. I’ll explain how to use it the simplest way. 1. Create a teacher account. 2. Manage classes: create a class and add students. I created each student account with their first and last name. Their password is their mother’s family name. Adding an e-mail is optional. 3. Create badges: There are many images ready to use. However, if you don’t find a suitable one for you students’ needs you can upload your own. I’ll show you my badges. The description of each one is in Spanish beacuse most parents don’t know English. 4. 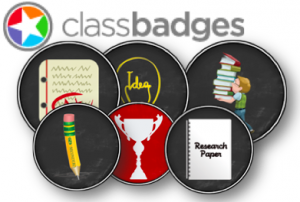 Award badges and let students know! Encourage them to show them to their parents. I told all my students about it and I try to award them for their use of English, completing their homework, sharing, improving their behavior, etc. Show your students you care and they will react positively. 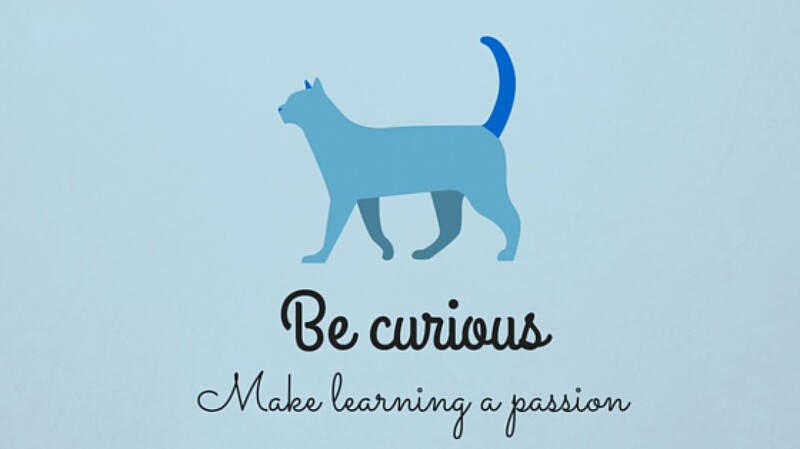 Don’t forget to make them feel you are excited about everything that happens in the classroom! 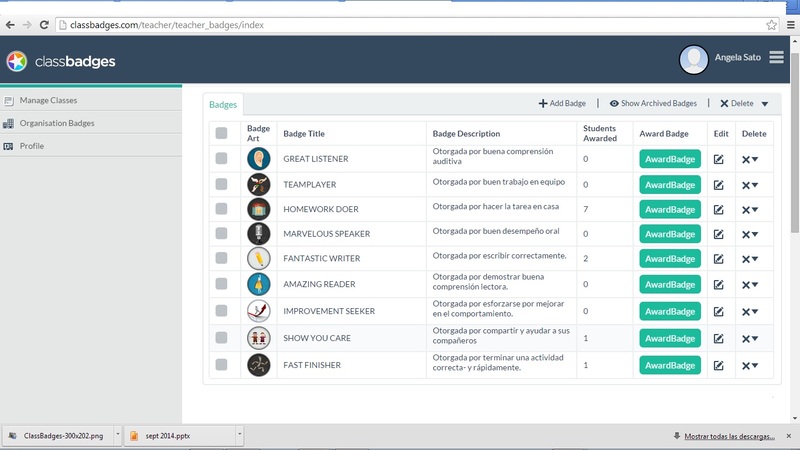 Categorías: Resources, teachers | Tags: badges, classbadges, motivation, resources, rewards, school students, teens, videos, young learners | Enlace permanente.